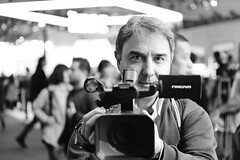 Intervistare Giovanni Boccia Artieri è sempre un’affascinante esperienza formativa. Questo articolo è stato pubblicato in Audio interviews il 24 gennaio 2017 da Alessio Jacona. 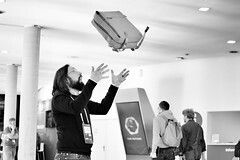 In May I’m going to Berlin where Martin Recke and his staff have kindly invited me to attend the Next Conference 2011. 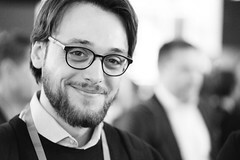 I met Martin in Paris, where I’ve asked him a pair of questions about the event and the very topic of this year, which is “Data Love”. The result is a 2:40 audio-interview whick you can listen to further in this post. 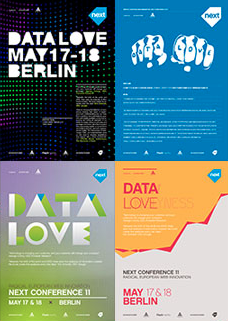 The main topic of the coming event in Berlin is “Data Love”: as we see everyday, there’s a lot of data created this days and the real challenge is to develop out of them services and products for consumer. In Germany there’s been a lot of discussion over data protection and privacy, and we sense a lot of fear in the market over these topics. What we want to do is to put everything in a positive view and to focus more on the opportunities. We’re living surrounded by huge amounts of data, and still a lot more will come as Governments and Institutions will eventually release tons of public data sets. Are you ready to take you chance and build over them the next worldwide successful business? Let’s talk about this and more in Berlin on May the 17th and 18th. I’m quite sure you all know what outsourcing is. What you probably don’t know is that there’s an online revolution going on out there, which is deeply changing the way outsourcing works: thanks to the Internet, to the way it helps people interacting with each other regardless of where they are in the world and – of course – thanks to the so-called social media collaboration tools, millions of professionals around the globe are working on projects, are solving problems, are earning money even if they will never leave their houses and meet or have a coffe with their co-workers and employers. There’s a new way of doing business together in progress and Freelancer.com is definitely a huge part of it. The web site founded by Matt Barrie today sports more than two millions of members, and claims to be “the world’s largest outsourcing and crowdsourcing marketplace for small business”. I met him in person sometimes ago in Paris during Leweb ’10 and asked him some questions on the impact of outsourcing and crowdsourcing on local job markets and economy, about the community he built, the way it works and – above all – about the way Freelancer.com let people checking every member’s reputation, trustworthiness and reliability as well as managing their own. You can listen his answers in the following podcast. A few days ago in Paris I had a nice chat with Matt Mullenweg – founding developer of WordPress – about the popular open-source blogging software and its future developments, as well as the way in which WP helps democracy along with anything else that enabes open communications, transparency and publishing. There was also time to point out that Rambo is blogging on WordPress and that the partneship with Microsoft won’t eventually lead to any acquisition. And when at end I asked him “if you had to start developing today, on what would you like to work?”, Matt answered “On e-mail, which I think is still really painful”, adding that what Facebook is doing goes in the right direction. So let’s just hope that he really will, one day or another. 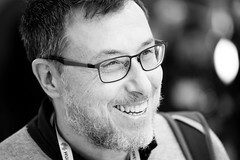 While in Paris for LeWeb, I had the chance to interview MG Siegler, who is a writer for the technology blog Techcrunch where he covers the web, mobile, social, big companies, small companies and much more. The audio interview is divided into two parts: in the first one, he talks about his job as a hitech blogger at Techcrunch and how challenging is to create meaningful contents in the real-time web era. Who does really own (and so control) the Internet? 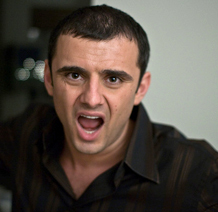 Gary Vaynerchuck is pure Energy. When you hear him speaking and rocking on the stage of LeWeb, you really start believing that everything is possible, that a real and deep change in the relationship among people and companies through social media is taking place right now. That there is light, so to say, at the end of the “corporate communication tunnel”. and then again at end of it during a short audio interview. – Italy is a shocking country. More surprising even than China. A big question mark under lack of acceptance of this technology and this movement. Italy is a tough one, where something in culture is really pushing back an where the only way to break through is not being apologetic and push, push push. Mike Kerns is Vice President, Social, Games & Personalization at Yahoo!. He is “responsible for developing experiences that drive richer personalization, support meaningful social engagement, and create new social advertising solutions, across the entire Yahoo! network of sites”. He is also the co-founder and CEO of Citizen Sports, maker of social and sports-related applications found on the Facebook, Android and iPhone platforms, acquired fromYahoo! in 2010. – next phase in competition with other players like Google will lead the company to invest in personalizing the user’s media consumption experience.